(2) Generic and transferable research skills. The HORN project is a multidisciplinary, international partnership, funded by the Global Challenges Research Fund through UKRI. HORN aims to build research capacity in Kenya, Ethiopia, Eritrea and Somalia in ‘One Health’, a term for how the health and well-being of people is linked to the health of their animals and the environment. A main objective of the HORN project is to advance the knowledge and research skills of researchers, using eLearning as well as workshops, short courses and summer schools. The new materials provide lectures developed and narrated by leading international experts, describing the OH ethos including: the conceptual basis of OH; the history of human-animal interactions in the region; the sociology of human-animal interactions; the importance of gender in OH working; climate and OH; concepts and theory of the economics of OH; the ecology of infectious disease; OH perspectives on zoonotic disease; food safety and security; public health-human and animal perspectives; vaccinology: an OH perspective transdisciplinary research; and assessing research capacity from an OH perspective. One health case studies include introductions from an OH perspective to countries involved in the HORN project, and to specific health issues including antimicrobial resistance, salmonella, Rift Valley fever, rabies, brucellosis and rotavirus. The generic and transferable research skills eLearning lectures cover: career planning; cascade training; research leadership; facilitation techniques; oral and poster presentation skills; critical appraisal of qualitative and quantitative research and how to develop a peer review report; grant writing; good research practice including for field methods; research ethics; literature searching and referencing software; research reviews for evidence-based practice; project management; financial project management; research writing; monitoring and evaluation of the research process; public policy and advocacy; and working with the media. Dr Marie McIntyre, who leads development of the HORN curriculum, said: “This teaching aims to provide a rounded basis for international researchers to understand how to develop research using a One Health ethos. In Tier 1, we provide knowledge on what OH is and how to implement it, but also where it fits within traditional academic disciplines, and how it is of relevance to the countries in which the HORN project works, or for different health issues. In Tier 2, we give researchers the structure and tools to start their research careers, obtain and implement research grants and maximize impacts from the outputs they create”. 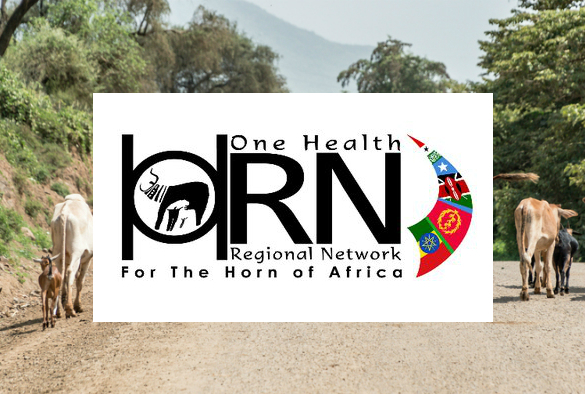 To access the materials please visit http://onehealthhorn.net/membership/membership-registration/.